1997 sea pro walkaround fishing boat, 21 foot, live well, lots of storage, rod holders, am/fm stereo, marine radio, two electric cannon mag ten downriggers, sleeps two adults and a dog, all cushions in good shape and included, anchor and rope, life jackets and safety equipment, sunbrella canopy, performance double axle trailer, new rims and tires, runs excellent, selling to get bigger center console boat. 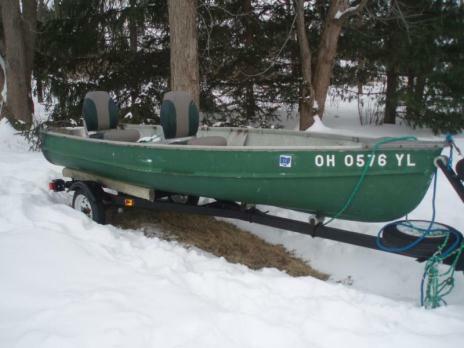 boat is winterized right now, any questions please call Rocky at 216 598 0431. 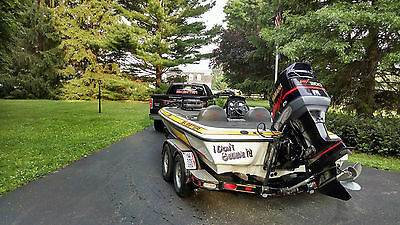 13 1/2 foot fiberglass boat & trailer. 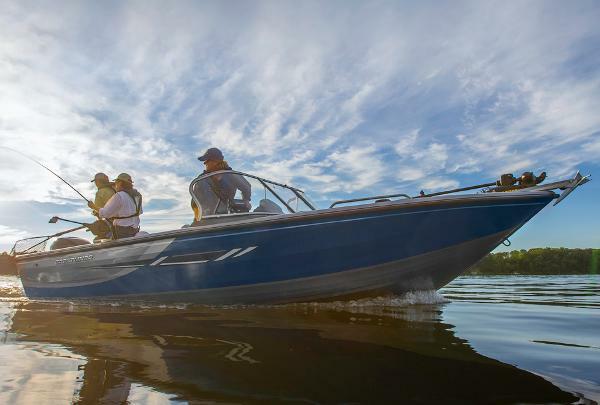 Boat has 2 padded seats & does not leak. The trailer has good tires with a spare, trailer jack, 2" ball. 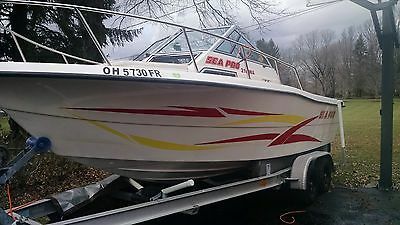 1998 Sea Ray 180 w/Mercruiser 3.0L I/O. This is an open bow runabout boat.-Trailer was rewired with new LED lights installed on it.-Bearing Buddies on the trailer-Boat has a suntop (connects from the top of the windshield and back)-Bow & Cockpit cover (they are showing some small wear and tear marks, sunbrella material, canvas is dirty and will need to be cleaned and re-waterproofed)-Humminbird Fishfinder (basic 5") in working condition-Does have a stereo in it BUT it does not work. Would need replaced.-All gauges are working on the dash-Has a Mercruiser 3.0L (135hp) engine in it.-Engine oil and drive gear oil was changed this past spring 2014 as beginning of season maintenance.-Boat is in pretty good shape, NO rips or tears in the vinyl or seats, Floor in good shape with no soft spots.-Boat was last ran on 10-26-14 at West Branch Lake here in Ohio. 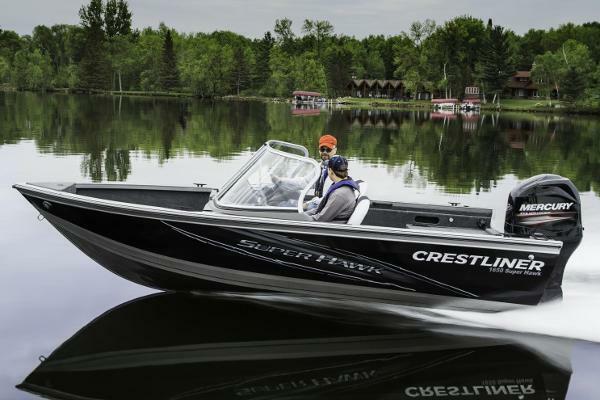 Boat ran 38 mph on GPS with three adults inside.-All of my personal safety equipment is included with the boat. I purchased these items at the beginning of the season. 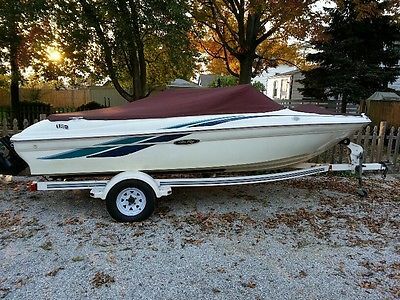 ***BOAT / ENGINE IS CURRENTLY WINTERIZED AND SHRINK WRAPPED******Will consider offers but no low-ball offers******Have title for boat, DO NOT have title for the trailer***Any questions please feel free to message me.Boat is located in Ravenna, OH and is for pickup only.